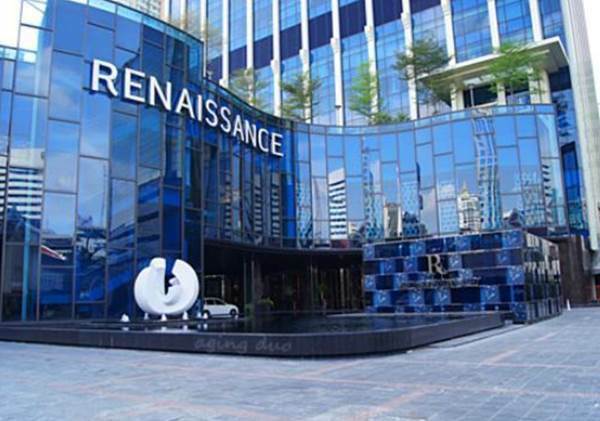 Get away to one of the premier 5-star hotels in Bangkok–Renaissance Bangkok Ratchaprasong. Rising over the city's finest sho...pping & business district, this 5-star hotel’s accommodations are perfect for weekend getaways & business travel. A unique 200-meter-long landscaped driveway with water features provides an unforgettable arrival experience. Inside, this Bangkok hotel's accommodations feature artfully balanced guest rooms with oversized windows, plush bedding and state-of-the-art amenities. In addition, guests will find a world-class spa, fitness center, business center and eclectic dining options, all just steps from their door. For those planning a business meeting or social celebration, our Ratchaprasong hotel also includes 19,999 sq ft of sophisticated event space, on-site catering services and dedicated event planners to coordinate events from start to finish. With easy access to Bangkok’s Chit Lom BTS station and its skywalk, Gayson, Zen, Central World and Siam Paragon are only a stroll away.